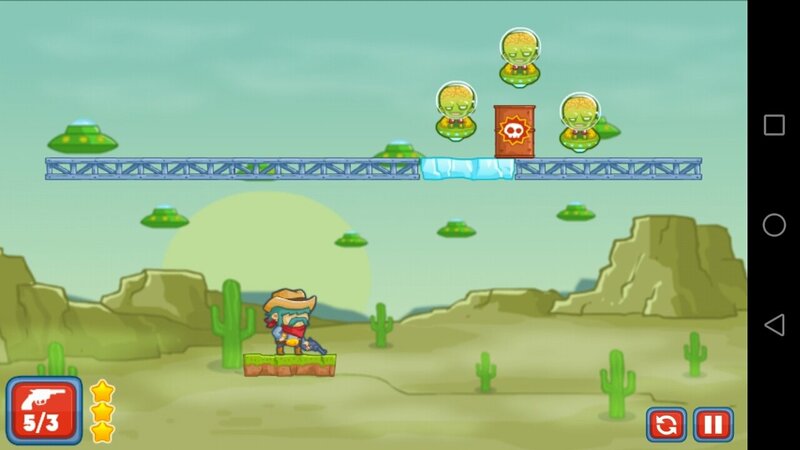 Cowboys are very recurrent characters in movies, literature, and comics, and have been also adapted to other pastimes. We've got the animation series Cowboy Bebop, movies of the likes of Midnight Cowboy starring John Voigt and Dustin Hoffman, or the comic book Cowboys & Aliens, also adapted to the silver screen by John Favreau, and featuring Daniel Craig, Harrison Ford, and Sam Rockwell, amongst others. And the reason why we're talking about this comic is that, as well as herding cows, it's much more interesting when a few aliens appear on the scene. 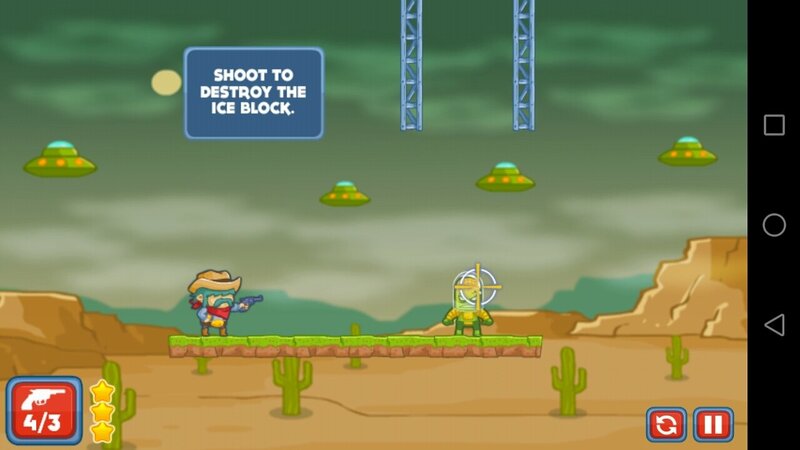 And inspired by this story of cowboys versus aliens we can now play this Cowboy & Martians - Barrel Gun. But, is it an action game? No, or at least not totally: because you will have to shoot at all the Martians that have come to invade the Earth, but by solving all sorts of puzzles. 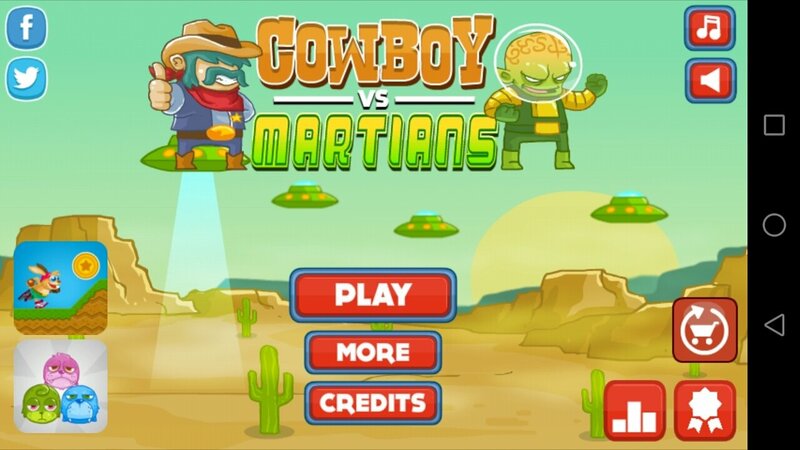 By downloading the APK of this game you'll take on the role of a cowboy who has to defend the planet against the alien invasion. 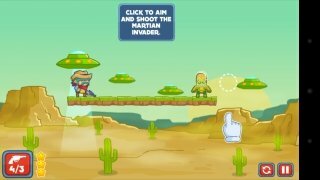 As you could expect, the Martians are green and big-headed, and you have to shoot at them all. 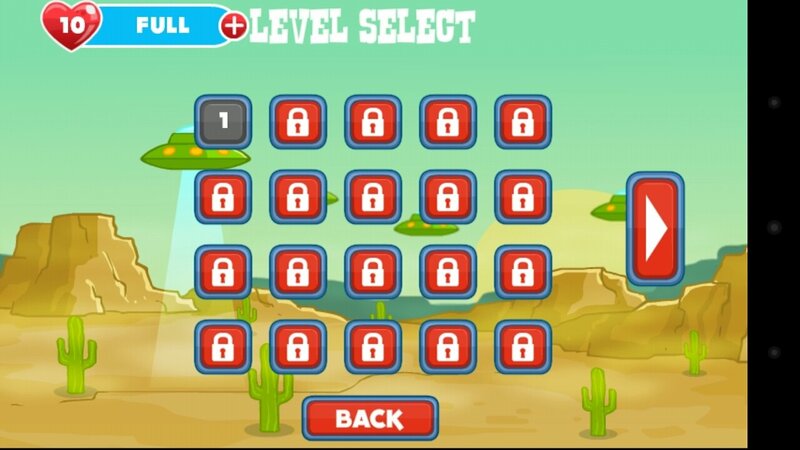 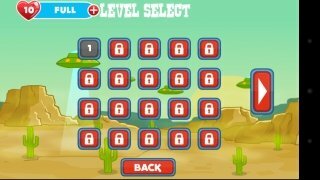 They appear statically on the screen and you have to solve the puzzles using the different elements available to make sure your bullets reach them. 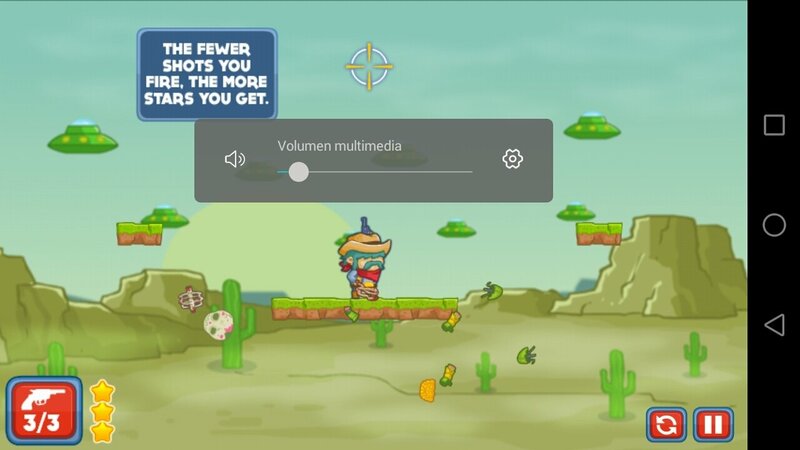 Aim with your finger. 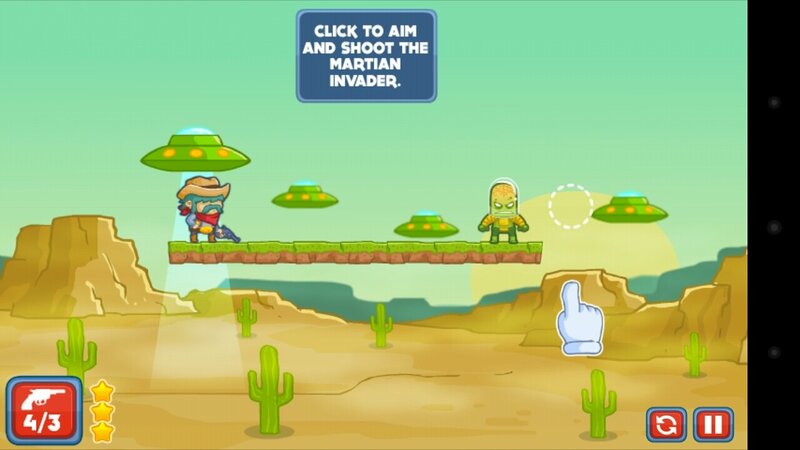 You can shoot at these beings directly or at any other object if your intention is to make the bullet rebound on another surface before hitting the invader. 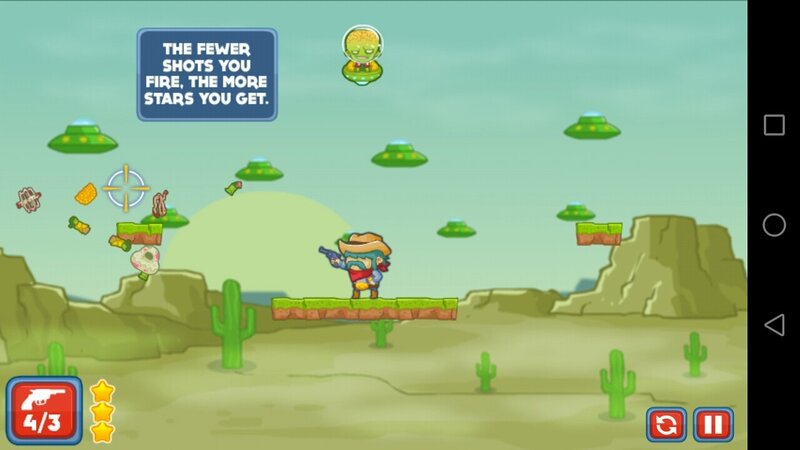 The fewer bullets you use, the higher your score will be. A puzzle game with shooting elements. 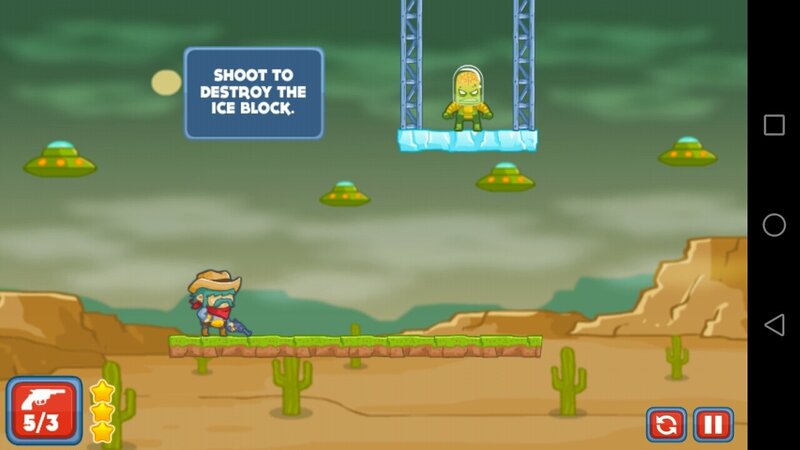 60 levels of progressive difficulty. 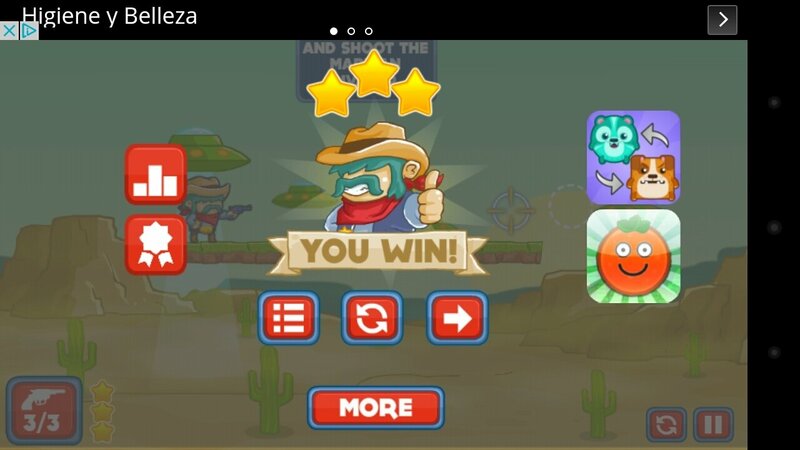 180 stars to add to your score (3 per level). 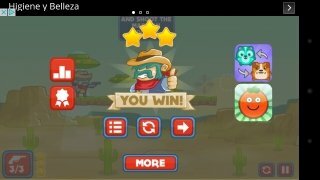 7 different achievements to be unlocked.